For a general map of Peloponisos, click here!(40K). 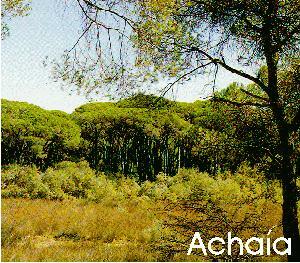 For a map of the Achaia area, click on map above. The village near Patras where the famous wine comes from. A nice village, situated at an altitude of 950 meters (about 3200 feet) and the starting point of an ascent to Mount Arymanthos. A small, lovely village, about 25 km from Kalavryta, with 2 hotels and many cafes. A great place to stop while touring the area. One of the oldest monasteries in the Peloponese dating back to the 5th century AD. Many times it has been rebuilt as the invading armies came and went. The current building dates to the 1680s. 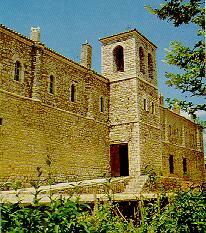 The most famous monastery in Ellada/Greece, because it was here that the war of independence of 1821 actually started. There is a lovely museum and beautiful views. Today The Moni and the Kalavryta town, are shrines to the Greek people. A lovely town, built at an altitude of 750 meters and served by a narrow gauge, toothed railway from Diakofto, on the Korinthian gulf. 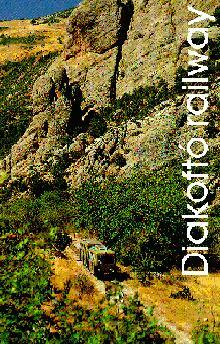 The train journey is not to be missed as it passed on one side of the wonderful Vouraiko gorge, with incredible views. The actual town is built upon ancient foundations built by Hadrian, who in turn built it on the ruins of ancient Kinaitha. Over the years Kalavryta has played important roles in Hellenic independence. In the second world war, all the males of the town were assasinated by the Germans (1621 men). The date, 13 December 1943, will remain engraved in Greek memory, forever. The main clock in the town has stopped as a reminder of the event. The monastery situated half way between Kalavryta and Diakofto, is based on a very old fable about a shepherdess who found an icon of the Virgin Mary inside a cave. She gave it to two monks, Simon and Theodore who built this Monastery (which tranlates to Great Cave) during the 4th century. 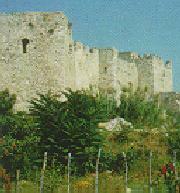 The monastery has been destroyed many times since, the last time, during the second world war. A lovely town, 2/3 of the way on the Korinth-Patras road. The town is built on the site of ancient Aigio, which used to be one of the 12 ancient federal cities. 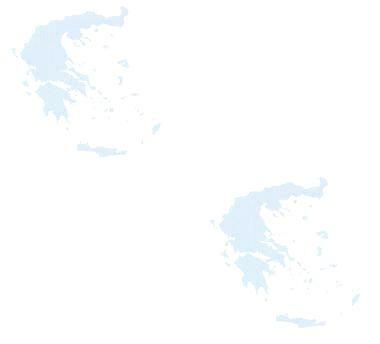 There is a ferry service to Agios Nikolaos and Nafpakto, on the opposite side. The main ferry port on the Peloponese side linking it with the rest of Greece via an almost continuous ferry service with Antirion. There is a castle here, called Moria which together with a castle built on the opposite side, controlled the Korinthian Gulf. The capital of Peloponese and the 3rd largest Greek city. It is a port of entry, served with many ferries from Italy (more than 5 per day in the summer). There is a castle, built on the ruins of an ancient acropolis, an open air theater, a large square adorned with many trees facing the sea and the church of Agios Andreas. 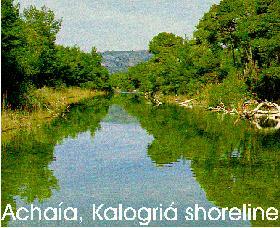 Nearby are also found the famous vineyards of Achaia Claus where wine tasting is free!